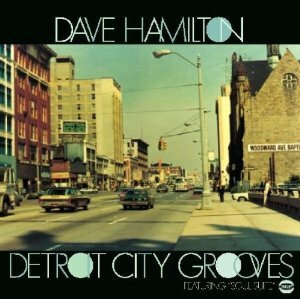 Dave Hamilton is known more as a Detroit soul producer than as a recording artist -- that is, to the relatively small number of serious soul collectors who are even aware of who he is. Hamilton did, however, record some material under his own name, dating all the way back to the mid-'50s. 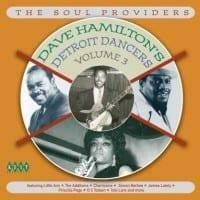 This CD compilation sticks solely to the instrumental soul-jazz-funk material the multi-instrumentalist cut between 1967 and the early '70s, about half of which would have probably comprised an unreleased 1970 album called Soul Suite. While four of the tracks appeared on obscure 1967-1971 singles and a couple of others showed up on CD compilations in the late '90s, the rest make their first appearance on this disc. It might not be brilliant or exert a magnetic pull beyond aficionados of this particular form of groove. But it's actually quite nice instrumental soul mood music, more unassuming and easygoing than much of the stuff that's championed by devotees of this subgenre. The frequent use of silky guitar lines, vibes, and Stevie Wonder-like harmonica pushes this a little into lounge-easy listening territory, but in some of the best senses of that description. Those who want something a little tougher won't go away starving, either, as "Brother Ratt" opens with some outer space wah-wah, sliding into a nicely funky workout with astral vibes flourishes. The guitars (often using wah-wah effects) and basses can get pretty hard-hitting in a smoothly percolating way, particularly on "Yesterdays," where some just slightly dissonant harmonica bleats add a nice edge. It's a modest collection, but an attractive one, and a more pleasurable listen than many an acid jazz reissue with more hip credibility.